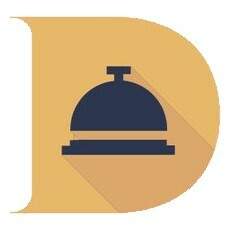 The DeskBell platform is a dApp platform that caters for the international hotel industry. 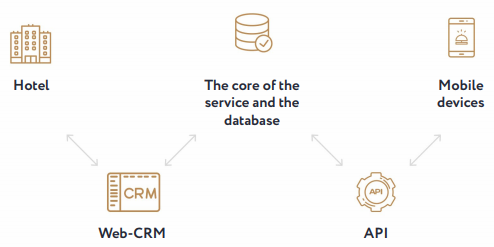 It aims to connect hotel owners and clients on an easily accessible and usable ecosystem, as well as to inform users of local events and hotel promotions. It will accomplish this through the implementation of an interactive interface with geolocation capabilities. This will allow users to locate the nearest hotels, as well as the specifications of the hotels. DeskBell is an existing platform that is already lists millions of hotels. Their current services include their website and mobile application. The purpose of the ICO is to move this service to the blockchain. In order to provide users with a more secure and scalable ecosystem to network and transact on. Small and medium hotels have difficulty in marketing their services and in organizing tourist events such as tours and promotions due to financial constraints. Most small to medium hotels do not have the means to develop their own mobile apps and profiles. However, DeskBell’s research indicates that 70% of hotels would be interested in registering on mobile apps through third-party providers. Tourists have to spend hours researching on various websites before they can find the hotels that are within their price range and that meet their specific needs. Hotels are able to reach a larger audience. The dApp automatically provides the user with information based on their geolocation, without the user needing to input any data. 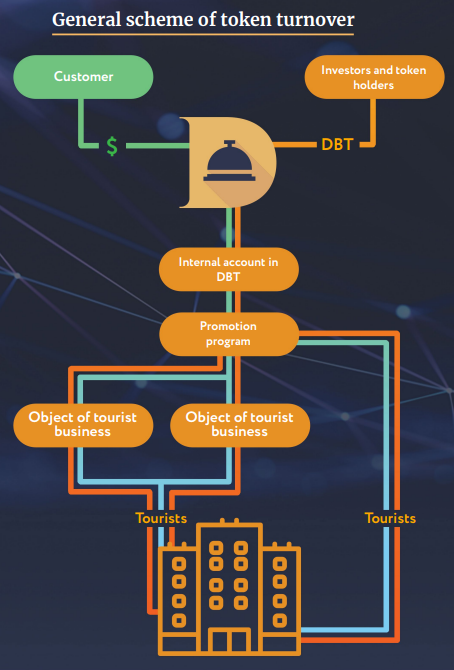 Hotel owners and tourists to interact with each other and transact in real-time through the DeskBell platform’s dApp. and also provides and environmentally-friendly alternative to using paper, water, electricity and other resources that are expended to produce hard-copy pamphlets. Hotels can advertise on the platform, knowing that the DeskBell platform will only advertise the hotel based on the tourist’s geolocation, thereby making their marketing more effective that by other means. Tourism service providers can register their events and geolocation on the platform. They can also advertise these events or offer promotions through the DeskBell platform. Tourists can locate or opt to be automatically notified of nearby events and touring opportunities through the platform, so that the hotels will not need to organize the events themselves. Tourists can also pay through the platform, therefore allowing for secure, transparent and traceable transactions between users. Once the tourist and hotel or tourism service/event provider have reached an agreement, the smart contract will be created. Smart contracts can only be finalized once the required DBT has been authenticated. It will then distribute the DBT to relevant service providers. The user will be rewarded for responding to event announcements or on providing feedback on the services rendered.